Mastermind and project manage the expansion of ASDA’s contact centre operations to accommodate increased call volumes and complexity. Merchants Outsourced, Off-shore Contact Centre solution. ASDA has a first-class contact centre solution that is tailor-made to suit their particular demands. ASDA has a contact centre that delivers customer experience in synergy with its brand and values. ASDA has a contact centre which allows year on year expansion through a safe and experienced pair of hands. ASDA is an instantly recognisable and much-loved retail brand in the United Kingdom. A member of the Wal-Mart family, its retail stores offer value, variety, competitive pricing and convenient one-stop shopping at hundreds of outlets throughout the UK. In addition to its physical outlets, ASDA also offers added value and convenience to customers through its Home Shopping service. Merchants was initially involved with the delivery of a 40-seat contact centre operation at the Milton Keynes site to support the Home Shopping service. However, as the success of Home Shopping grew, demand began to outpace the capabilities of the existing contact centre. It became apparent that the facility would have to be expanded to accommodate increased call volumes, relieve the pressure placed on existing resources, and offer the same impeccable service – including promptness, courtesy and great customer service – that had contributed so much to the original success of the Home Shopping service. Based on the positive experience of our earlier collaboration in the contact centre, ASDA entrusted this expansion to Merchants. Within two years, the Cape Town operation had expanded to include a number of additional services with the addition of an entirely new contact centre operation. Top of mind in the design stage of the proposal was the imperative to deliver a solution in line with the ASDA strategy of ‘Everyday Low Cost’. To deliver a premium solution that was still cost-effective, Merchants proposed an offshore contact centre operation. This strategy would not only deliver in terms of cost, but also safeguard the service ethic and ensure that the ASDA brand was delivered without compromise. Once the proposal was approved, Merchants proceeded to the next stage of the rollout. This involved a “refine and define” review of the existing Home Shopping operation in Milton Keynes. Thereafter, a phased migration was implemented. The contact centre played a critical role in ensuring ASDA’s brand qualities were reflected across all the customer service channels. 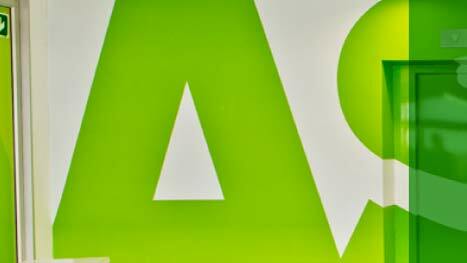 ASDA were very much involved in the entire recruitment process of the customer service agents and their induction included a mixture of one-on-one training in a classroom environment as well as online support and practical training on the operational floor.